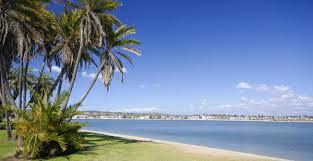 San Diego beaches are consistently ranked top beaches in the nation and free to the public. You can bask in the sun, body surf, paddle board, build a sand castle, watch a sunset or sunrise, or fly a kite. 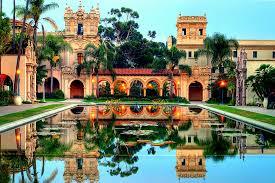 Balboa Park is the nation’s largest urban cultural park which includes 15 major museums (select museums are free each Tuesday to San Diego residents), 9 renowned performing arts venues, 19 gardens, play areas, and dog areas. The park also hosts multiple events throughout the year such as December Nights and the Maker Faire. In addition, numerous weddings are performed on the beautiful grounds of the park each year. 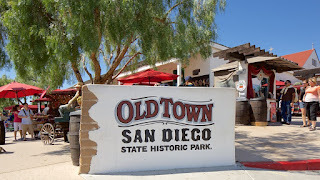 In 1769 California’s first settlement was established with a mission and a fort and is now Old Town San Diego. Walk back in time and experience San Diego in 1821 to 1872 as you browse through historic buildings, quaint shops, and authentic Mexican restaurants. With its mild climate and a wide array of landscapes and terrain, San Diego County has a multitude of hiking and biking experiences. 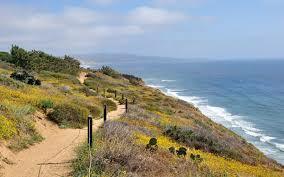 You can hike along coastal sandstone cliffs, rugged mountain trails, or desert sand dunes. 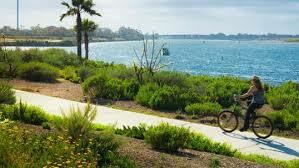 Or you can ride beach cruisers along the coast, performance bikes on the road or mountain bikes in the hills around San Diego. No matter your experience level, there are trails for families, dog lovers, or experienced hikers or bicyclists. The Gaslamp Quarter is a walkable urban playground located in Downtown San Diego. You can explore Victorian architecture and history, dine with renowned chefs, or dance the night away at nationally recognized nightlife venues.